For nearly half of the nation’s history, the steam locomotive was the outstanding symbol of progress and power. It was the literal engine of the Industrial Revolution, and it played an instrumental role in putting the United States on the world stage. While the steam locomotive’s basic principle of operation is simple, designers and engineers honed these concepts into 100-mph passenger trains and 600-ton behemoths capable of hauling mile-long freight at incredible speeds. 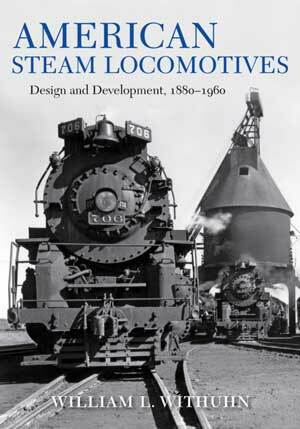 American Steam Locomotives is a thorough and engaging history of the invention that captured public imagination like no other, and the people who brought it to life.